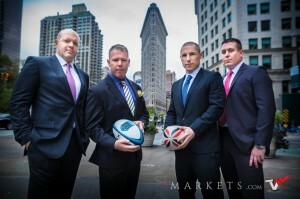 Rugby Players Taking the FX Industry By Storm? Forex Magnates spoke exclusively with CEO Tim Furey and the rest of the Tradeview team for their perspective on the advantages and prevalence of rugby players in the FX and financial markets workforce. The comprehensive interview and article can be read in full on the Experts portal by accessing the following link. The past few months in particular have been quite episodic for the FX industry, underscored by broad upheavals in company structures and personnel movements throughout both the retail and institutional realms. In his interview, Mr. Furey weighs the merits of rugby players, namely in the face of stressful situations in leading management positions in FX. Moreover, he explains the types of employees who are necessary to work in such a high pace market. Indeed, the multitude of hires and in some case fires does come on the heels of historically low volatility as well as the aftershocks of ongoing FX probes. However, according to Mr. Furey, rugby players possess the requisite tools for navigating one’s business out of dire straights or tough times, something virtually every firm has at one point held in common.